PHILADELPHIA (WTVD) -- U.S. airline regulators said late Wednesday that they will order inspections on engine fan blades like the one involved in fatal failure that killed a woman in a plane that made an emergency landing in Philadelphia. The Federal Aviation Administration said it will issue a directive in the next two weeks to require inspections of certain CFM56-7B engines. The announcement came after initial findings from investigators showed that Tuesday's emergency was caused by a fan blade that snapped off, leading to debris hitting the Southwest Airlines plane and a woman being partially blown out a window. She later died. Tuesday's emergency was eerily similar to an engine failure on another Southwest plane in 2016. That breakdown led the engine manufacturer to recommend new inspections of fan blades on many Boeing 737s. 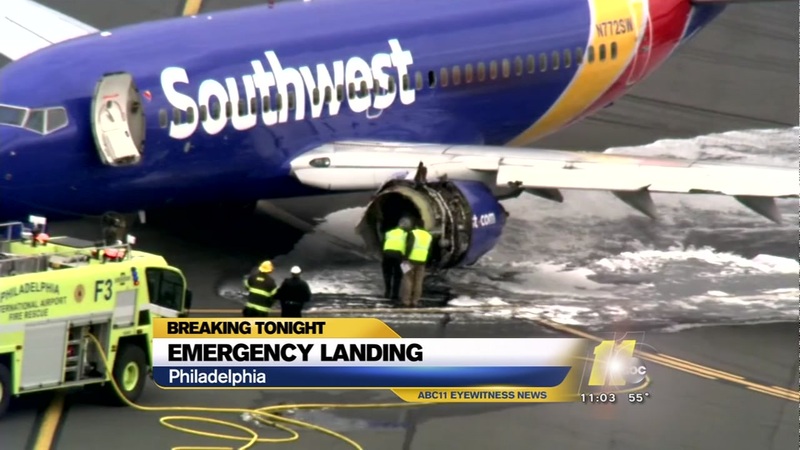 First responders were on the scene after a Southwest Airlines jet made an emergency landing at Philadelphia International Airport. "Engine failures like this should not occur," Robert Sumwalt, chairman of the National Transportation Safety Board, said Wednesday. 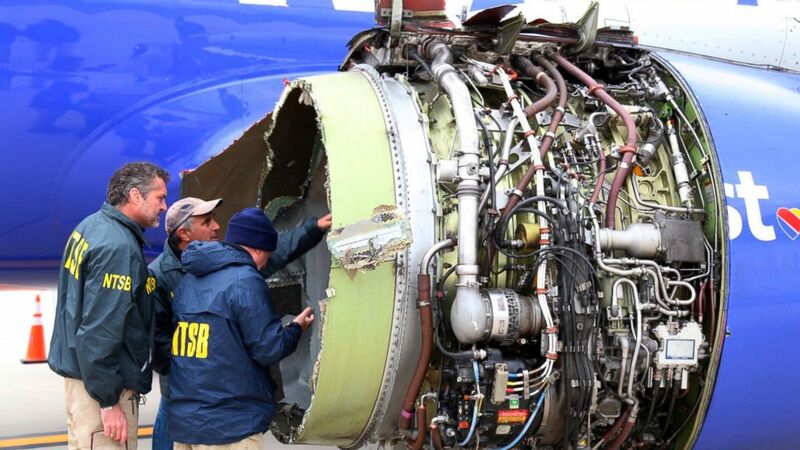 Metal fatigue - microscopic cracks that can splinter open under the kind of stress placed on jetliners and their engines - was blamed for an engine failure on a Southwest plane in Florida in 2016. Both that plane and the jet that made a harrowing emergency landing Tuesday in Philadelphia were powered by CFM56 engines. 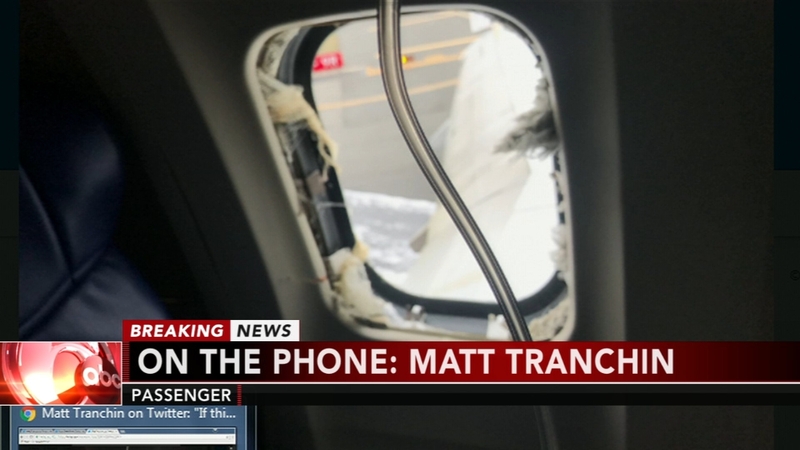 Matt Tranchin was on his flight home from New York to his 8-month pregnant wife in Dallas when he saw an explosion ahead of him. Manufacturer CFM International, a joint venture of General Electric Co. and France's Safran SA, recommended last June that airlines using certain CFM56 engines conduct ultrasonic inspections to look for cracks. 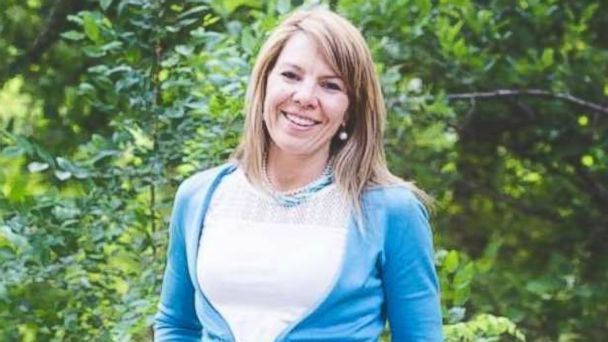 Family members have identified the woman as 43-year-old Jennifer Riordan, a banking executive and mother of two from Albuquerque, New Mexico. Passengers say Riordan was partially blown out of the window and Philadelphia's medical examiner said Wednesday that she was killed by blunt impact trauma to her head, neck and torso. A retired nurse was among those on a Southwest Airlines flight who tried in vain to help save an injured passenger when the plane's engine exploded in midair Tuesday. Robert Clifford, a lawyer who is suing American Airlines over another engine explosion that caused a fire that destroyed the plane, said the FAA should have required the inspections - even if it meant grounding Boeing 737s. "There is something going on with these engines," he said, "and the statistical likelihood of additional failures exists." William Waldock, a safety expert at Embry-Riddle Aeronautical University, said he expects that this week's incident will push the FAA to require more detailed inspections of fan blades, but the details and pace will depend on whether investigators find fatigue in other fan blades on the broken engine. "The first thing they probably are going to do is pull every single one of those other blades off and X-ray them to see if they've got a similar type of failure waiting to happen," he said. The Southwest CEO protested that it is too soon to say whether Tuesday's incident is related to any other engine failures. Kelly said Tuesday's plane had flown 40,000 cycles. A cycle is one takeoff and one landing. Boeing delivered the plane to Southwest in July 2000. Jennifer Riordan, a bank executive, community leader and mother of two, died Tuesday when the Southwest Airlines flight she was aboard blew an engine in midair. Kelly said the plane was inspected on Sunday and nothing appeared out of order. A spokeswoman said it was a visual inspection and oil service of the engines. 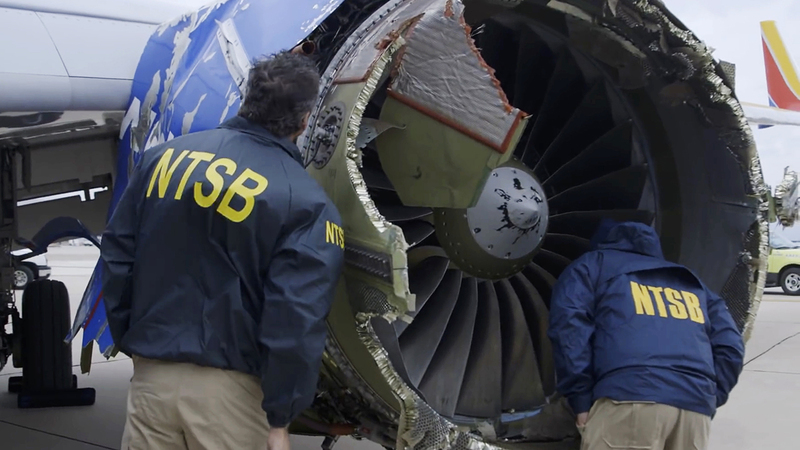 The NTSB's Sumwalt said, however, that the kind of wear seen where the missing fan blade broke off would not have been visible just by looking at the engine. There are several types of inspections that airline planes must go through, ranging from an "A check," which is done about every eight to 10 weeks, to more-rigorous B, C and D checks. Southwest declined to provide the plane's maintenance records to The Associated Press, but a spokeswoman said that the failed engine had experienced no unscheduled maintenance in the last 60 days.